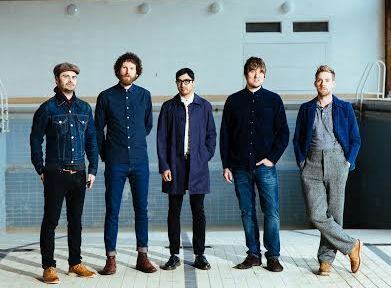 Rock band Kaiser Chiefs will screen a human rights film before they go on stage at Birmingham's Barclaycard Arena on February 25. The short Amnesty-made movie, Make Some Noise, is a fast-moving call to action, appealing to viewers to "speak out", "rock the boat" and "shake the world". The film - a mix of pacey graphics and powerful still photography - poses a series of questions, including "Do you think we need to build more walls?" and "Do you think people in power should tell the truth?" ''We hope our fans will like this film and will relate to Amnesty's core message - that we need to stand up for people under threat whoever and wherever they are," says the band who are Ambassadors for Amnesty International UK and will screen the movie before each of their UK concerts. In October, Kaiser Chiefs supported a campaign calling on the UK Government to do more to respond to the plight of civilians in Aleppo. A 'Rally for Aleppo' in central London on October 22 saw hundreds of teddy bears laid at the gates of Downing Street to symbolise the plight of children trapped in East Aleppo during a bombardment of the city by Syrian government and Russia forces. Amnesty International UK's Talent Producer Caitlin Birley says: "This is an inventive, entertaining and really stirring film which captures exactly what so many people are thinking these days - that human rights are under renewed threat and we need to make some noise about it. "It's great having Kaiser Chiefs' support. It's a time when musicians and artists are speaking out about human rights. This film is a brilliant way of capturing the current mood." This is Kaiser Chief's first arena tour in two years and it showcases material from their latest album, Stay Together. Mar 4: First Direct Arena, Leeds.